WE WILL become the global market leader in automotive lighting aiming mechanisms and devices. Through collaboration WE WILL develop innovative technologies to meet or exceed customer expectations. WE WILL provide competent local support services that will sustain our customers‘ global strategies. 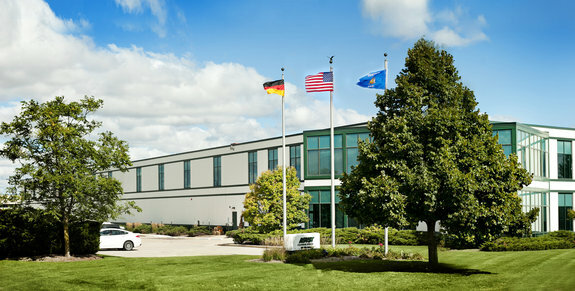 ASYST Technologies LLC, located in Kenosha, Wisconsin, was founded as a joint venture of EJOT Holding and ATF Inc., in May of 1996. Since this time, our company has been known for engineered solutions, motion transfer assemblies, and problem solving in the automotive industry. Our dedicated employees ensure customer satisfaction and continuous improvement in our engineering and manufacturing. Our expertise and experience has led to us to designing and producing various automobile component assemblies at our facility. ASYST Technologies is able to examine a company's requirements and develop a solution that exceeds expectations. Our capabilities include: Engineering, Manufacturing, Project Management and Injection Molding; straight shot, vertical over molding, insert molding. We look forward to partnering with you in the near future.